Football scarves, shirts and… eggshell art? 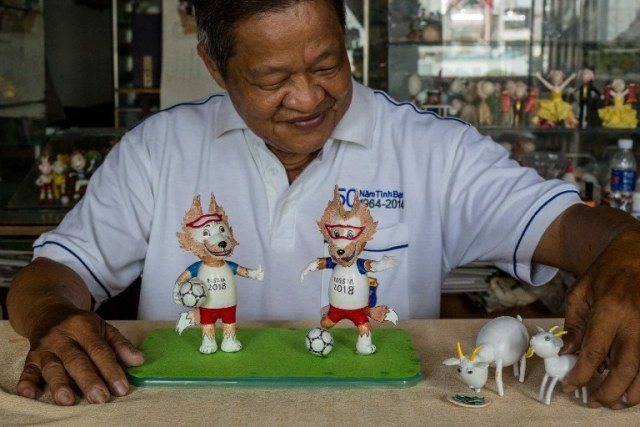 World Cup swag has taken a quirky turn in Vietnam where a retired schoolteacher is making mascot memorabilia from hollowed-out eggs, meticulously crafted by hand. 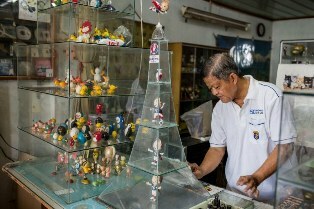 Nguyen Thanh Tam, 67, spends hours every day making the models, driven by his football fanaticism — a passion shared by millions across Vietnam glued to the World Cup since the tournament kicked off in Russia earlier this month. 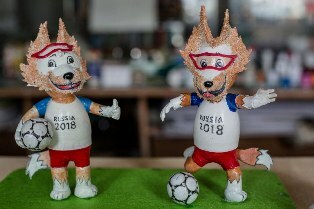 Most of his tiny statues are of tournament mascot Zabivaka, a wolf in sports goggles kicking a football, and he has models of football heroes Cristiano Ronaldo and Lionel Messi in the works. 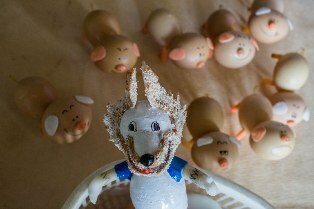 “Over the past few years, I have been spending my time making football mascots with eggshells as a way for me to show my love for football,” Tam told AFP, speaking before a basket of eggs in his Ho Chi Minh City home. 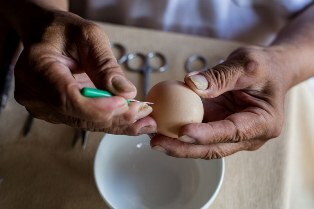 Though not widespread in Vietnam, using eggshells in art is not unheard of: traditional lacquer works often feature inlaid eggshell in lieu of white paint. Tam says working with the fragile shells requires sharp focus. “I love this work because it requires me to be creative, observant, meticulous and relaxed,” Tam added. He first developed the unique hobby around Christmas in 2002, when he was looking for the right material to make a Santa statue with his 13-year-old students. Tam decided that an eggshell perfectly captured Saint Nick’s rotund belly. 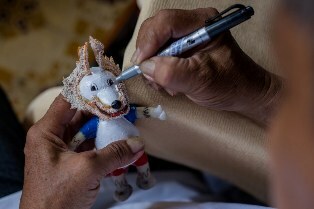 He eventually married his passion for crafts and football and started making World Cup mascots during the 2010 World Cup in South Africa. 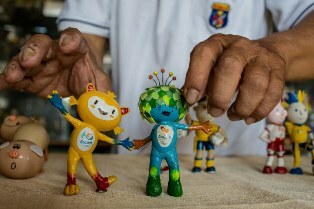 Now he has about 1,000 of the small figurines scattered throughout his apartment, some commemorating the 2016 Rio Olympics and Euro 2016 in France. Others are of celebrities — Charlie Chaplin, Barack Obama, and Gangnam Style’s PSY all feature in his collection — or birds and animals, like his porcine series to mark the Year of the Pig in 2019. Tam says the biggest challenge is finding the right egg shape to fit the creation, so he has expanded beyond chicken eggs to include ostrich and quail. He has also widened his repertoire of egg recipes to use up all the yolks and whites he discards to make his art. 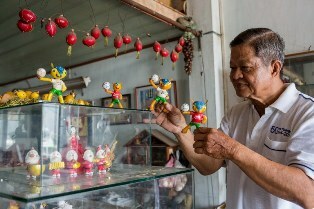 Tam doesn’t sell the delicate dolls, preferring instead to keep them on display to wow his visitors. “I make eggshell art to satisfy my passion, not for commercial purposes,” he said. He has already received a nod from Vietnam’s record centre for the most eggshell art created — believed to be a niche category — though he has global ambitions. “I hope one day my eggshell art will be recognised as a world record,” he said with a smile.